We have many different types of Luxurious Tours to be arranged based on the requirements of tourists. Luxurious tour in Nepal is very comfortable, suitable especially for honeymoon, old couple, lovers and family. A few tour packages under luxurious tours are listed below. Note: We can offer you tailor made package, if this package doesn't meet your requirements. Group Size: There will be maximum 25 persons in one group. View of Mount Everest: For tourists visiting other regions where they cannot view Mount Everest, there are daily mountain flights which approach close to Mount Everest. Mountain flight can be taken before or after the tour. 5. 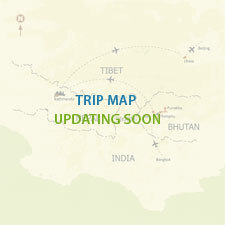 If you have any complain with regards to trip, please inform our tour leader or company. All kinds of valid complain are welcomed and proceeded with necessary actions.